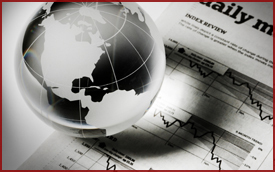 Financial News Media Profiles: "Linking the Financial World through Technology & Innovation." Retail Investors, Day Traders and Financial Professionals... Join our FNM Network today and be the first to know when emerging companies issue breaking news. Get our FNM Exclusive News Alerts delivered right to your inbox and best of all get them for FREE. To join the FNM Network, please visit our sign up page. FNM does not rent, sell or in any way share our subscriber information with outside third parties. � 2012 FNMProfiles.com. All Rights Reserved. Created, Designed, Owned & Operated by FN Media Group, LLC. FinancialNewsMedia.com (FNM) is a provider of multimedia platforms that enable officers & directors, corporate communicators, public relations and investor relations officers to leverage content to engage with all their key audiences. Any ideas and opinions presented in any FNM News Alerts, Video clips, Press Releases, RSS Feeds or Social Network Posts are for informational purposes only, and do not reflect the opinions of FNM or any of its affiliates, subsidiaries or partners. UNDER NO CIRCUMSTANCES SHOULD ANY CONTENT CONTAINED HEREIN BE INTERPRETED TO REPRESENT TRADING OR INVESTMENT ADVICE. All viewers agree that under no circumstances will FNM, its subsidiaries, partners, officers, employees, affiliates, or agents be held liable for any loss or damage caused by your reliance on information contained on this or any affiliated website. Read Full Disclaimer.